For ex-CIA operative Jed Walker, chaos is his profession. On the outer, burned by his former agency, he is determined to clear his name. Stopping Zodiac is the only way. Desperate to catch the killers and find the mastermind, he can’t afford to lose the next lead, but that means that sometimes the terrorists have to win. Ultimately, it all comes down to Walker: he’s the only one who can break the chain and put the group to sleep . . . permanently. It’s exactly eighty-one hours until deadline. 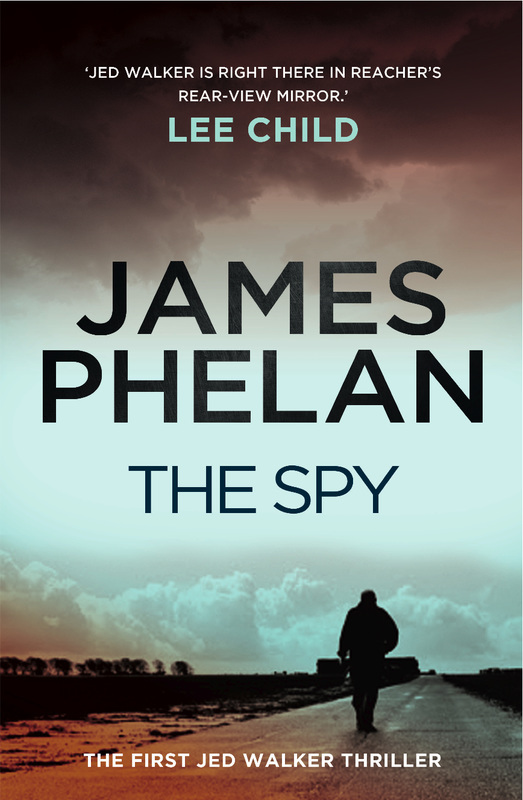 THE SPY is book one in the Jed Walker series. Dan Bellamy looked at the highlighted screen of his unlisted cell phone and considered bumping the call. He’d had confirmation of the job just fifteen minutes ago, and now his field operative was calling him again. He had been expecting a call, but not this call. It was too soon. A complication, at their end. Calling him from the field. He leaned back in his chair and rested his feet upon his desk. Looking out his window, he could see straight to the Capitol Building. It was after midnight. He had come by the office to handle some paperwork; at least that’s what he told his wife. In reality he was here to make sure the operation was successful. Bellamy had a lot riding on it. Too much. Across the room – a modest wood-panelled space that was swept for surveillance bugs every week – his daughter slept on the couch. Still in her soccer uniform; she had won tonight. A good omen. His baby girl. Bellamy answered the phone. ‘This call came sooner than expected. his operative’s team surrounded. If that were the case, it would be gut-wrenching stuff until his lawyers did what they did and he did what he did to bury it all. ‘There’s someone on scene,’ the voice said. Bellamy processed the implications: the op had started barely half an hour ago, they had been in and out within fifteen minutes, and yet his team was still there, watching the scene of their crime. Why? guys in the field, this was another job. Bellamy didn’t have time for complications. He checked his watch. Inside the apartment in Rome it looked like a bomb had gone off. Jed Walker entered warily, unarmed, using the heel of his boot to push the door closed behind him, leaving it unlocked as he had found it. The place was empty, but the trail was warm. He scanned the rooms in ten seconds and learned all he needed to. It was late nineteenth century, well made and maintained. A corner site on the second floor, with two windows looking south, three to the east. Opposite, two doors ran off to a kitchen and a bedroom with en suite. Everything was tastefully appointed, the furnishings sparse and modern:hardwood parquetry floors, herringbone pattern; an expensive TV and stereo the centrepiece of the living area; a set of custom-made golf clubs by the door. All of it fitted the profile of a successful banking executive – the cover job of the CIA operative who had lived there. It had all been tossed. Recently. Walker looked around each corner of the apartment and concluded that whoever had tossed the place was looking for something specific. missing. No useful physical evidence remained. This had been a search for something small, or a clean-up of anything incriminating that might lead back to the guy’s employers. Walker knew that this had been conducted by pros. The wheels in Bellamy’s mind turned on that one. He trusted his operator on this mission, and trusted that like could spot like. So, who is this ex-military guy in the apartment? A competitor? The target’s protection, arriving too late? Could be anyone. Could mean anything. Could mean that they were too late . . . either way, this is getting messy. Bellamy ended the call. He stared at his cluttered desk. This op was not meant to be messy. Getting rid of a guy in the middle of Rome? Getting rid of two? All in a day. He looked across at his sleeping child. Some books and a field of McDonald’s debris were spread on the table in front of her. It’s all getting harder, busier, less certain. It’ll pay off, soon . . .
world. Powerful men and a couple of powerful women. All of them more reliant on him with each passing day. He looked out the window to his left. The sun was gone, now the streetlamps and uprights bathed the monumental town. A new dawn was just around the corner. Three more dawns before everything changed. The blood the killers had left behind told Walker most of what he needed to know. The mattress in the bedroom held a bloodstain – large, the size of a frying pan, and still red. After about two hours’ exposure to oxygen, blood that has thinned and splattered and atomised onto absorbent material like a mattress oxidizes and turns brown. They never got that right in the movies. entered quietly enough not to wake him. Which meant that this was an assassination: either to get what Walker had come here for, or to tidy up a loose end. Maybe both. Two kill shots, through the chest, the heart probably. Not the head – less messy that way. Plus, like Walker they knew to protect the head; like Walker they knew what type of information was in it. So, this was not a straightforward case of professional killers. This was the work of men in the know of current CIA tradecraft. but probably not – this was a quick job, and what they needed most was not known to their target. Yet it was on his person. Felix’s skull: a tiny chip containing information. Felix was a head-case courier, used by the CIA to transport intelligence from one wireless hot spot to another. Someone knew what was on that chip – if not the killers then whoever had hired them. from the bed. Once blood leaves the body, it begins to clot quickly, within five to ten minutes. After that the blood begins to separate as the clot retracts into a dark knot and squeezes out a halo of yellow serum. This process takes another hour or more, when the blood then dries to a rusty brown stain. The blood here had clotted but not separated – this hit took place more than ten minutes but less than an hour earlier. The bed sheets were missing, so the killers had wrapped the body in them and then placed it in a wheeled duffel bag. Judging by the track marks of blood on the floor, it was a 120-litre bag, which meant they had folded and stuffed the body in tightly. They weren’t squeamish, these men, and they were strong. There were at least two, probably three, so someone stood sentry in the apartment while two dealt with the body. Or perhaps he had tossed the place while the others packed the body. The packers must have noticed the tracks the wheels had started to make, from where they had run through the blood pool, and wiped the castors clean with the quilt. The tracks then disappeared. They had been careful and relatively quiet but they hadn’t taken the time to clean up. So, it was a quick job. A three-man crew, on the clock. Walker inspected the mattress. Two gunshot holes punctured the centre of the bloody mess. The underside was shredded. The floor below looked like it had been sandblasted, the surface pockmarked with dime-sized punctures, grouped more tightly in the centre, spreading out to a dozen chips in a diameter roughly the size of a dinner plate. Soft fragmentary rounds had been used, semiwadcutters with heavy grain, the slugs further slowed by a suppressor, fired up close, the soft lead tearing apart as it hit bone and bedsprings. So, the bigger and slower .45 calibre rather than a 9-millimetre. Serious men doing a serious job of it. Outside the apartment the three professionals in the back of the van readied and checked their weapons. Each had a Beretta .45 calibre, the PX4 Storm, locally sourced and made, custom silenced, untraceable, ten-round capacity apiece. Mediterranean to making people disappear completely. He spoke half a dozen languages and could pass as a local in Italy, France, Croatia, Greece and Spain. sat in the air-conditioned van, silent, watching, waiting. In the back were two large duffel bags of rubbish to drop, weighted down, in the Adriatic later that day. One bag contained the body of CIA courier Felix Lassiter, the other a collection of his papers and computer equipment. The spoils of a job done. The disposal, however, would have to wait. Crowley and his team had another job to do. Walker knew better than to search the apartment hoping for a clue missed by those who had worked here this morning; this was the well-executed job of a well-trained team. Maybe not the best operators, but they weren’t far from it. They were expensive, and not many entities had access to such men. This fitted what he knew about the man who owned this apartment. Not so much a target as a person of interest and an unwitting courier – a perfect cut-out agent. For the CIA, and for someone else. It was the someone else that was of interest to Walker. And clearly Felix Lassiter had garnered the interest of other parties.